There are few creatures quite as charming as our native butterflies. Unfortunately, urbanisation has pushed many of these once-common insects from our cities and some local butterflies are now threatened with extinction. Increasingly, though, city dwellers are looking to welcome wildlife back into their urban gardens, no matter how small the available space may be. This is incredibly easy thanks to a widely available range of attractive indigenous plants suitable for any balcony. Most importantly, they’re both inexpensive and easy to grow. Although easy enough, creating a balcony for butterflies does require some forethought. Both adult butterflies and caterpillars need to be catered for with appropriate food plants. The plants themselves must also be carefully chosen to guarantee that they will survive and thrive under the particular conditions of your balcony. The Common Brown. Image: Ian Sutton [CC BY 2.0 (https://creativecommons.org/licenses/by/2.0)], via Wikimedia Commons. Start your butterfly balcony off by planting Kangaroo Grass (Themeda triandra) and Common Tussock Grass (Poa labillardieri). Both these species tolerate harsh sun and dry conditions, although by no means does that mean you should go easy on the water when it comes time to give them a drink. These two species are food plants for the Common Brown (Heteronympha merope), a showy butterfly now rarely seen in Melbourne probably due to a decline of these two native grasses within the city. To add a little height and colour, include a Hop Goodenia (Goodenia ovata) which flowers profusely for long periods with beautiful yellow blooms. This little shrub is an incredibly hardy, drought-resistant species and can be pruned to whatever size you desire. 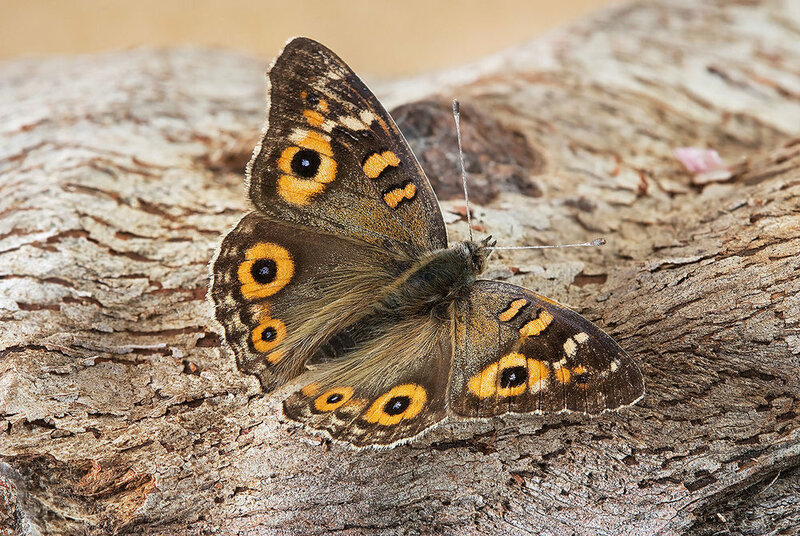 It is a food plant for the Meadow Argus (Junonia villida) and its larvae. Kangaroo Grass, Common Tussock Grass and Hop Goodenia like some sun but they all tolerate a range of conditions from shade to direct sun. The Golden Everlasting (Xerochrysum bracteatum) is another must-have for any Melburnian butterfly balcony due to its drought tolerance. These showy flowers attract the Australian Painted Lady (Vanessa kershawi) which feeds on both the leaves, as a caterpillar, and the flowers, as an adult butterfly. This golden daisy is also one of very few indigenous species to bloom throughout the hot summer months. It does require a sunny position though, so place it where it will get plenty of direct light. The Meadow Argus. Image: JJ Harrison (jjharrison89@facebook.com) [GFDL 1.2 (http://www.gnu.org/licenses/old-licenses/fdl-1.2.html) or CC BY-SA 3.0 (https://creativecommons.org/licenses/by-sa/3.0)], from Wikimedia Commons. 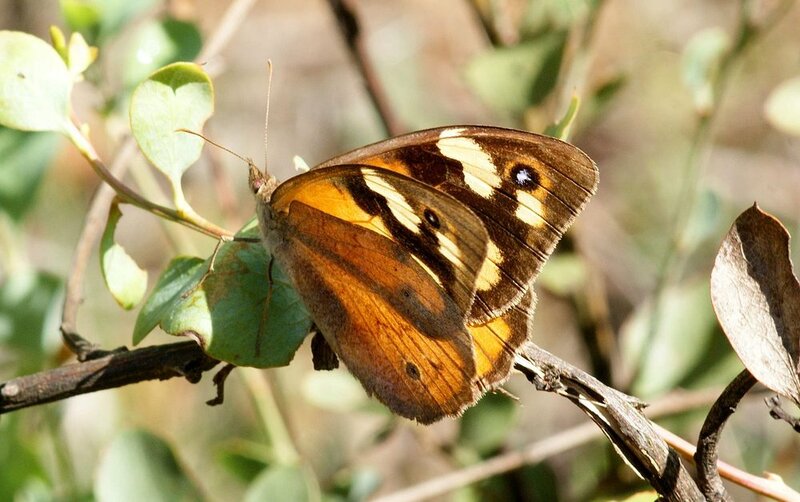 The Splendid Ochre (Trapezites symmomus) is perhaps Melbourne’s most audible butterfly species. Its rapid wingbeats sound more like a small bird than a butterfly, and it can be attracted by Mat Rushes (Lomandra longifolia). These provide year-round green, even when your native grasses have turned brown in the summer heat. They tolerate a range of light levels from full sun to shade. Another fabulous plant to include on your butterfly balcony is the Finger Lime (Citrus australasica). 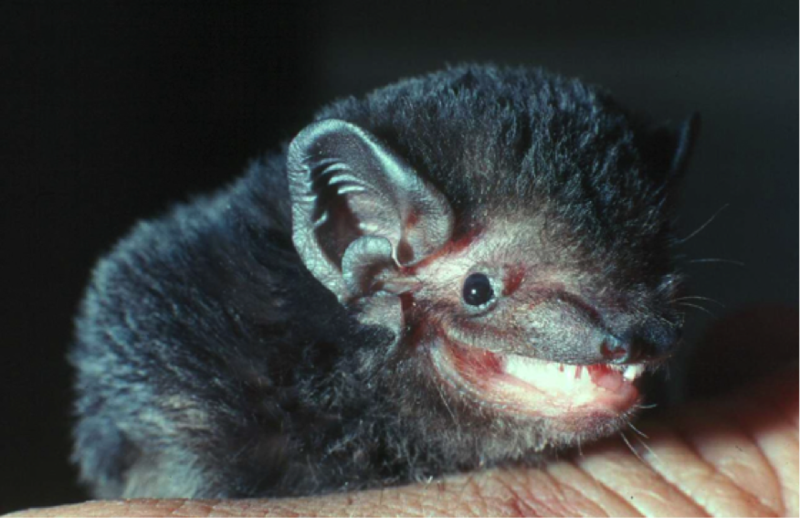 Although native, it is not indigenous to the Melbourne region but is from the lowland subtropical rainforest and rainforest of the coastal border region of Queensland and New South Wales. Not only does it provide delicious zesty fruits for you, but it attracts the Dingy Swallowtail (Papilio anactus), Melbourne’s largest butterfly. Its caterpillars begin life camouflaged as little bird droppings but grow to a gargantuan size over the course of a month or two. This will allow you to observe their life cycle from the comfort of your own home. The Splendid Ochre. Image: John Tann (Flickr: Splendid Ochre) [CC BY 2.0 (https://creativecommons.org/licenses/by/2.0)], via Wikimedia Commons. Many Melburnian balconies suffer from a distinct lack of direct sunlight. Fortunately, there is a perfect plant for such places, the Scrub Nettle (Urtica incisa). This delicate little native is the favoured food plant of the Australian Admiral (Vanessa itea) which constructs a little tent to shelter in during the day by folding the leaves of its host plant. The Scrub Nettle is a lover of damp and shady places so find a nice sheltered spot for it and don’t skimp on the water. Finally, for your adult butterflies you need a source of nectar. Although many introduced flowers will suffice, there is one native genus of plant that numerous butterfly species love during the hot summer months: tea tree (Leptospermum). The nectar-filled white blooms of these plants provide a rich meal for your butterflies to fuel their busy period of mating and egg-laying. One common indigenous species with particular drought tolerance is the Prickly Tea Tree (Leptospermum continentale) which can handle partial shade to full sun. Now that you know some of our common Melburnian butterflies and their favourite food plants, go forth and build a butterfly oasis on your balcony. Not only will you create a wonderful little garden full of butterflies to enjoy, but you will also provide a habitat which helps our six-legged friends traverse the often perilous and resource-poor concrete jungle. All it takes is one person, a few plants, and the better half of an afternoon to set up a habitat garden which will serve hundreds of butterflies for years to come. Banner image of an Australian Painted Lady courtesy of fir0002 | Canon 20D + Sigma 150mm f/2.8 + Canon MT 24-EX [GFDL 1.2 (http://www.gnu.org/licenses/old-licenses/fdl-1.2.html)], from Wikimedia Commons. The wind outside comes and goes in fits of undirected rage. It hurtles past my window and drowns out the calls of the fledgling raven in the tree outside. Squat and downy, it grips swaying branches with fresh, uncertain claws. Yesterday it was marvellously sunny outside, and now… well, it isn’t. Such variable weather is an oft-cited trademark of Melbourne and surrounds, and is something Melbournians enjoy brandishing as a testament to the fact that we live in a land of extremes. Yet, for the young raven outside, Melbourne’s weather is perhaps one of the least extreme of the forces that influence its daily life. Indeed, all cities – not just Melbourne – are places of stark contrasts. Worlds of conflict and polarity, where squat and downy lives must eke out an existence. As Associate Professor Kirsten Parris writes in her new book Ecology of Urban Environments, cities are ‘where the best and worst of human existence can be found, and where habitats constructed for people can complement or obliterate the habitats of other species.’ To study these contrasts and complements is to study urban ecology: a relatively young discipline and one that Parris defines as ‘the ecology of all organisms – including humans – in urban environments’. And so goes the story across the planet. A story that began some twelve thousand years ago in the Middle East and one that has been repeated and reenacted at an ever-increasing rate across the globe. ‘Globally,’ writes Parris, ‘there were 740 urban areas with a human population >500,000 in 2008, including 22 with a population >10 million’. In some regard, I’ve come to treat my copy of this text in the same manner my parents regarded our family medical book. We once saw that book as an essential tool for diagnosing illness and subsequently, treated it in accordance with the expert advice contained therein. Yet, in many ways what Parris has written is far more relevant to my life than such a medical text. That old, dusty book had information on any number of illnesses likely and unlikely to occur to the average human. Meanwhile, the issues and processes Parris describes are almost all relevant to any one of us, and at any given time. It is accessible too and while perfect for students, researchers, and policy-makers, I can’t help but feel it belongs on the shelf of the “average” family. What is written here can be seen, and heard, out my window: the construction of urban infrastructure including many surfaces impervious to rainfall, the removal of native vegetation and the planting of exotics, the hum of road traffic, the streets lights, the runoff, the waste, the dogs and the cats and the net-entangled fruit bats. This is a book about you and me and the community in which we are apart. Parris highlights several relatable issues, such as access to urban parks and open spaces, the unequal distribution of noise and air pollution, and the dependence those of us living towards the edges of urban sprawl have on cars for transportation. And there’s the rub. Just like the poem’s narrator, we have but one home and ‘We’re gonna have to reap from some seed that’s been sowed’. Knopfler’s poem is an ominous tale of socio-economic downfall in big cities, and Parris does well to include it in her text. The impacts we are having on the natural world spin a no less foreboding yarn, and this book is an essential start to crafting a happier ending. Maybe my squat and downy friend outside will one day fly away, but there seem fewer and fewer places left for it to go where it won’t be touched by an urban world. This book belongs on your bookshelf if... you care to understand the processes at play around you and your home. Head to the Wiley website to purchase your copy. Chris recently graduated from The University of Melbourne with a Master's of Science in Zoology. He is the current Managing Director of Wild Melbourne and pursues his interests in science and natural history through the mediums of film, photography and written communication.